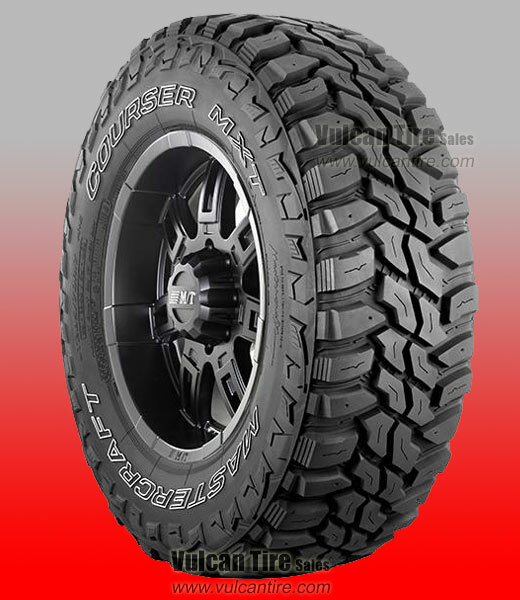 The Courser MXT is an extreme off-road mud terrain tire perfect for light truck owners and extreme off-roaders seeking aggressive off-road traction and excellent handling on the highway. The MXT sports an attractive "side biter" sidewall design and wide, deep tread grooves for superior off-road mud and snow traction performance. bought these for front of trk - when I have the money I am going to buy same tires for rear!!!! best I have ever had!! !